The number of electric vehicle drivers is growing, and if you're one of the many who are adopting green cars, you're probably looking for a community of like-minded people with which you can discuss all things EV. One way you can find this community is by creating it yourself. By talking to your peers in your personal life or at work about the benefits of EV, you can begin to build bonds around a love of environmentally friendly vehicles. The up-front cost of an EV is generally higher than that of a comparable gas-powered car, but there are more car-related costs than the vehicle itself. Charging an EV is cheaper than filling up a gas tank, and there's typically less maintenance associated with an EV than a car with an internal combustion engine. The point at which an EV becomes cheaper than a gas-powered car is typically around 50,000 miles, Business Insider reported. Of course, there are many factors to consider in the cost of ownership, which makes the cost effectiveness point a tricky one for people who haven't yet made the switch to electric. For that reason, it can be helpful to point out more immediate and clear cost savings, such as the incentives available for investing in an EV. One example of a federal incentive is the Qualified Plug-In Electric Vehicle Tax Credit, which allots between $2,500 and $7,500, based on the type of vehicle, to individuals who invested in a PEV after December, 2009, according to the Office of Energy Efficiency & Renewable Energy. Some states have their own incentive programs. 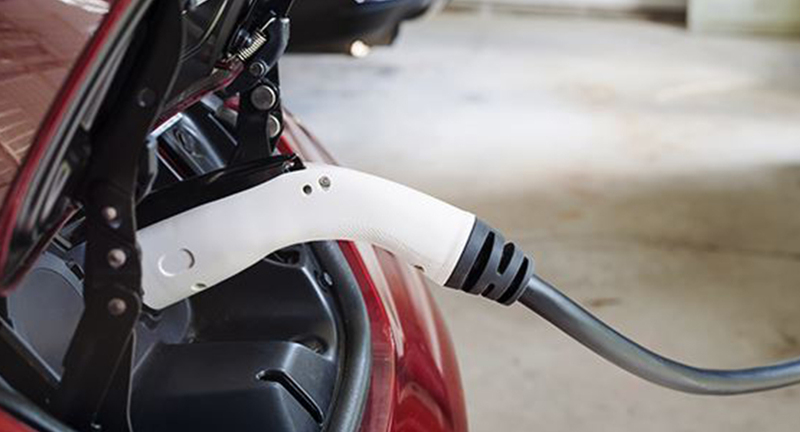 One California electric car rebate program provides refunds for a wide range of new vehicles, including PEV, BEV and others. People who live or work in the San Joaquin Valley Air Pollution Control District are eligible through the Drive Clean! Rebate Program. If there already are other EV drivers at your company, reach out to them. Creating a community of green drivers can help you share advice and tips on EV ownership, and help get others excited about EV adoption as well. Creating a green drivers group can lead to greater adoption of environmentally friendly principles across your organization. If your company has a fleet of vehicles or uses company cars on a regular basis, your green drivers group might encourage switching to electric models when it's time to update the fleet. Together, your group could present the benefits of introducing EVs to the company. Another initiative your group could take on is organizing a carpool. Carpooling can help people save money, reduce traffic congestion and get to know their coworkers better. It's also a good way for those who haven't personally invested in an EV to learn more about electric cars and reduce their reliance on gasoline-powered vehicles. One common deterrent to EV buy-in is the lack of charging options. Gas stations are ubiquitous and easily accessible, but the same generally can't be said about charging stations. If your coworkers are some of the many who're nervous about investing in an EV because they worry about not being able to charge it, you may find relief by connecting with leaders at your company. Installing EV charging stations at the workplace is easier than it sounds. When you work with Webasto Charging Systems, a certified electrician will inspect the area to ensure it can support the charging stations. Then, if you select the installation offer during the ordering process, a trained professional will perform the installation. Contact us to discover the charging solutions you can introduce to your workplace.